New Melones Lake level has been holding steady for the last 30 days and currently at 1057.20 ft., 30.80 ft. from full. Water temperature is 70 degrees. Water clarity is clear. 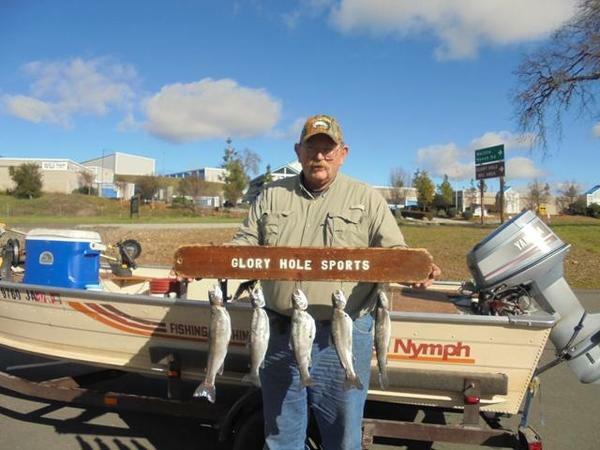 The end of April and into the new month of May, trout has picked up with anglers landing Rainbows in the 3-7 lb. range from shore and trolling. Will Cunningham of Vallecito, Ca. had a day fishing from the bank. Will declined to share with us the bait of choice nor where he landed the bows as these are classified questions, however I'm guessin he was using crawlers. Will did mention he was fishin 10 ft. depth and up. Glory Hole Point over to the spillway, 49 Bridge were best for trolling, with anglers using Super Duper/chrome, Blue Fox Vibrax chart. with black stripe. This is a great time of to troll in the upper water column to 30 ft. for trout and kokanee. Needlefish in CopCar is a great go to for trolling following a troll or flasher. Tip your presentation with kokanee corn and apply a scent to the dodger/flasher for optimum performance. Kokanee have finally appeared! After a mostly unproductive season last year for the koks, we have been anxiously waiting for a report this year. 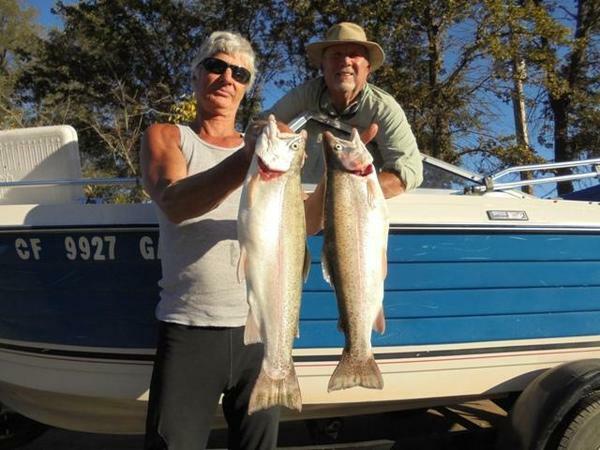 Gary Burns of "Take it to the Limits " guide service came thru last week landing a couple koks to get the season off to a start. Identifying kokanee vs. trout can sometimes be difficult as they have similar traits. Notice the definition of the "V" tail, one of the defining marks on a kok, along with the brilliant silver scale. Look for the gill rakers in kokanee to be soft and pliable to the touch and fine, as opposed to trout which are stiff to the touch. 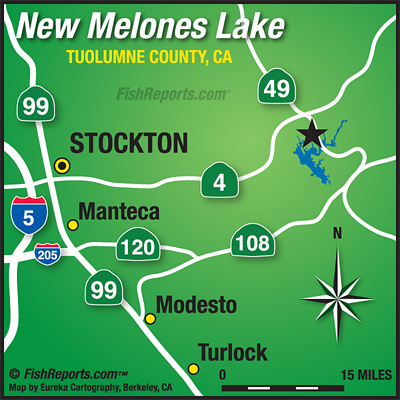 Bass anglers are finding success on Melones with reports of numerous anglers hooking up 3-7 lb. bass. Double willow skirted jigs, Zman chatterbaits have produced results, but have your other rods setup dropshot, wacky rig when the other action slows.